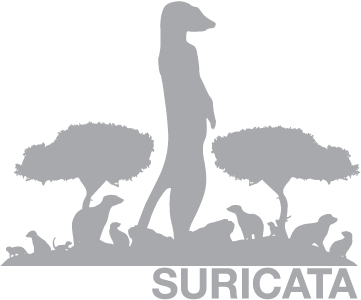 Today, almost half a year after the last “stable” release, we released Suricata 1.3. I think this release is a big step forward with regard to maturity of Suricata. Performance and scalability have been much improved, just like accuracy and stability. These changes have been made by 11 committers, only four of which were paid by OISF. The others were either developers from supporting vendors or great community members. I’d like to thank everyone for their contribution! With the 1.3 release, for some people work only just started. I think this would be an ideal time for the Emerging Threats project to fork their Suricata ruleset. The new set for 1.3 could then start taking advantage of features like http_user_agent, file_data, file keywords, tls/ssl keywords, etc. One of the new features in 1.3, the rule analyzer, should be really helpful for the rule writer folks. Looking towards the future, we’re planning for some nice new features and improvement. First, the TLS/SSL handling will be further improved. The guys are working on certificate fingerprint matching, storing certs to disk and more. We’ll also continue to improve our IPv6 support. Of course, performance work is always on our agenda, so also for the time to come. See our roadmap here. Finally, if you’re interested discussing the roadmap with us in person, the RAID 2012 conference in Amsterdam next fall is a good opportunity. Most of the team will be present. This entry was posted in IPv6, oisf, Suricata and tagged Emerging Threats, oisf, raid, ssl, Suricata, tls by inliniac. Bookmark the permalink. Great work Victor and everyone that committed and tested to get us to 1.3!! We will definitely be forking a ruleset in the Emergingthreats.net open and ET Pro rulesets for 1.3 so we can use the new toys. Thank you Victor et al: Well done!